Louise has acquired a wide range of experience during her 16 years in the charity sector. She started her career in charity at the National Institute of Conductive Education, before moving to ChildLine, and in more recent years, led the British Heart Foundation’s Central England events team, before moving to Mencap as Fundraising Manager for the Midlands. Her broad experience stood her in good stead for her current role as Director of Fundraising at Birmingham Women’s and Children’s NHS Foundation Trust, where she has led a range of successful campaigns such as; The Big Hoot, The Big Sleuth, and a series of appeals which have raised significant funds for Birmingham Children’s Hospital through the charity. In addition to this, Louise has forged productive long-term partnerships which have led to funding for a Children’s Rare Diseases Centre and a Cardiac Hybrid Theatre, both firsts in the UK, through targeted appeals and significant donations. 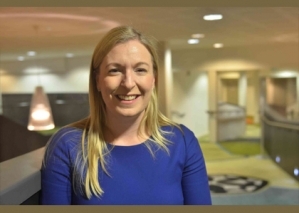 Louise has been Chair of the Fundraising Mutual Interest Group with the Association of NHS Charities for several years now, as well as being a trustee at mac Birmingham. In 2014 she was awarded Future Face of Business by Birmingham Chamber of Commerce, and in 2015 was presented The Gill Astarita Fundraiser of the Year award at the (IoF) National Fundraising Awards and at The Charity Times Awards, where her staff also won Fundraising Team of the Year.